KISS (Keep it simple, Silly!) Simple, wholesome and organic focused meals made from scratch in house. Seasonal menus utilizing fresh local ingredients. New dishes presented in fun and appetizing ways to encourage sampling. A fully equipped and restaurant grade kitchen where we can prepare fresh meals daily. 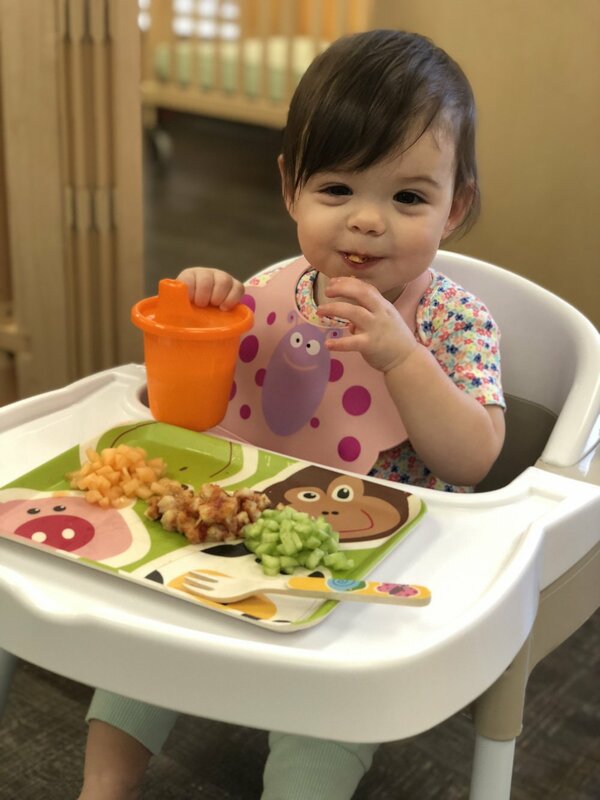 Engaging children in the meal process to teach practical life skills and encourage a sense of ownership and belonging. 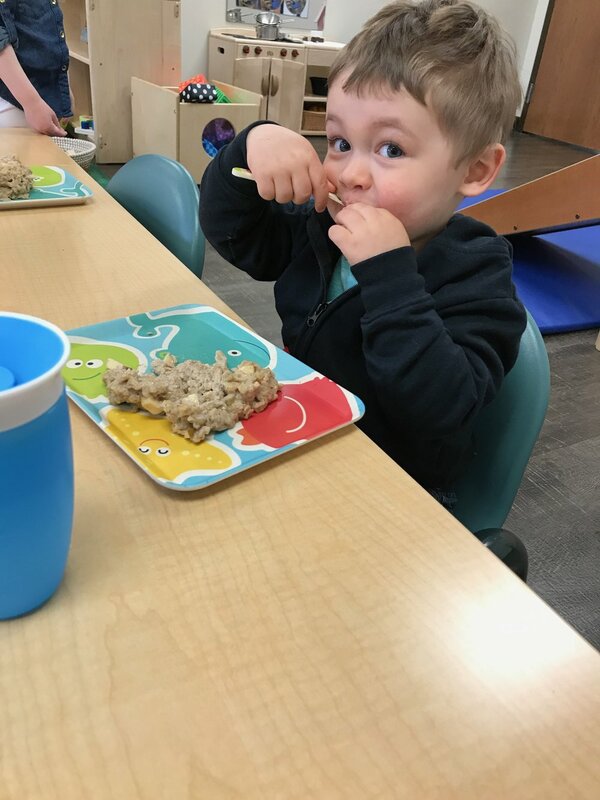 Family style dining in a warm environment where teachers model appropriate manners and mealtime traditions while children learn to engage in conversation and listen to their body’s cues.